Tips from Japan Trip Experts!! No need to have rental Wi-Fi device. 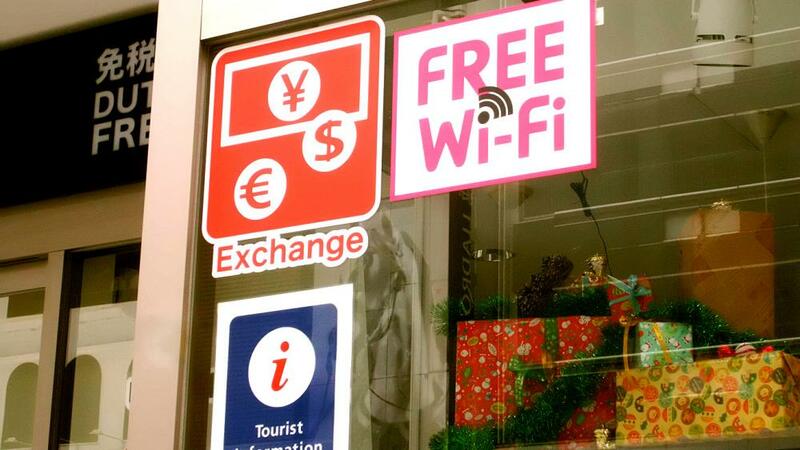 places in Japan, but if you want to have access to free Wi-Fi at more places, downloading App helping you get access to free Wi-Fi is a way to go. Here blow are Apps you can use in Japan to have free Wi-Fi access. App with connection to 140,000 free Wi-Fi spots around the nation. It has Free Wi-Fi search function with GPS, and you will automatically be connected to those free Wi-Fi spots. It’s available in five languages (English, simplified Chinese, traditional Chinese, Korean and Japanese) and it’s totally free of charge. App which automatically connects you to more than 200,000 free Wi-Fi spots around the nation. A popular app not just used to have Wi-Fi connection, but to get sightseeing or facility information. App provided by Narita Airport for travelling in Japan. For free Wi-Fi use, it just explains how to get access at various spots, but there are various useful functions for travelling in Japan such as translation function, train transfer guide function, weather forecast, news alert etc. You will be able to resolve any “wanna know” “’m in trouble” “How do I…?” while in Japan with this app! App to let you have access to free Wi-Fi in Hakone area. Download the app and simply click “Connect”, then you are given access to surrounding Wi-Fi spots in the area. You can have free Wi-Fi at Seven-Eleven store. You get to see product/campaign information of Seven-Eleven on the app too. Female university student born and raised in Kyoto. Blogger. Born in the city of World Heritage, Kyoto, made her interested in old towns of Japan since she was quite young. She is currently studying architecture at a University in Yokohama, a port town, and "integration of Western and Eastern cultures" is of her particular interest in the subject. Loves visiting World Heritage sites of Japan and old Ryokan (Japanese-style traditional lodging). Her hobby is collecting stamps of various places and spots she visits. Loves Eastern landscapes and Western food. An active SNS advocate.